When we started CFCE over 10 years ago, We wanted to work with a team of people with passion and work ethic. Each one of our team members is accountable to our customers, and to our organization as a whole. At CFCE, our customers do believe in us because we work very hard and help them leverage the resources of today’s technology to make their companies more productive and profitable. Our #1 Priority is to understand how your computer network supports the on-going efforts of your organization and be there for you when you need us to prevent technical problems from occurring in the first place. 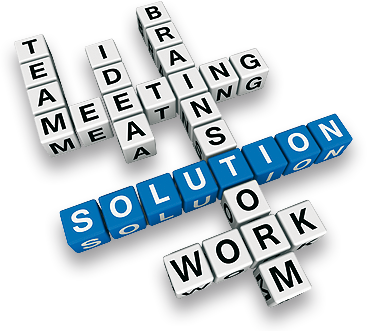 How can we help you and your organization? Reliability – We are available 24/7 for our clients where many other IT companies claim they will be. 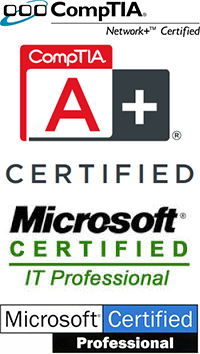 Expertise – We are seasoned IT professionals and know IT inside and out, from desktops to Servers. Gumption – We’re NOT always going to HAVE the answer, but you can bet we’ll FIND it! 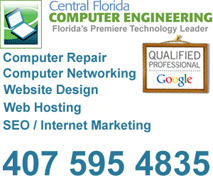 Central Florida Computer Engineering was built on a vision that everyone should be able to afford the luxury of enjoying computer technology to pursue their own vision. Contact Us and allow us to earn your business. We will share the vision of taking your computer technology to another level and produce incredible results at your organization.